De machine-, ijzer- en metaalindustrie vraagt om een stevige en veilige ondervloer, geschikt om de dagelijkse processen zonder zorgen uit te voeren. 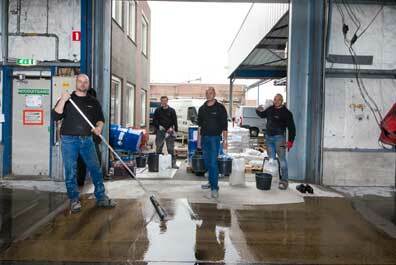 Ons antwoord bij Mesa Coatings? Onze heavy duty vloer. Veel beter geschikt dan een reguliere betonvloer, dankzij de eigenschappen specifiek voor de toepassing waarvoor u de vloer gebruikt. Concrete, for example, generates dust from the subsoil, something that is not affected by our Mesa Coatings heavy duty floor. In addition, concrete is an important source of dirt, so that cleaning and maintenance requires more attention. With our heavy duty floor, we provide a practical alternative that is specifically suitable for companies in the machine, iron and metal industry. Do you have questions or do you need advice? Leave your name and telephone number and we will call you back as soon as possible. We developed the heavy duty floor specifically for these applications, which is reflected in the various advantages that you can benefit from. We used a layer structure consisting of an adhesive primer, flexible intermediate layers, granulate and a sealer. The combination of these layers and materials ensures that a safe and solid whole is created, suitable for companies with machines, iron and metals. This provides a number of advantages, both in terms of strength and safety as well as their installation. We can install the heavy duty floor within one day. And it’s ready to use only two hours after installation. The floor cures within that time, so that you resume work on it the same day. 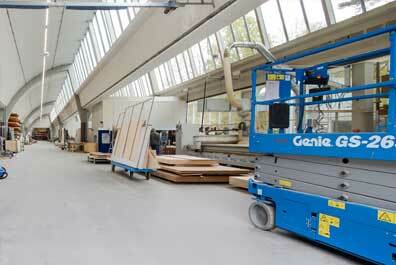 Prevent your company from coming to a standstill with our heavy duty floor. In addition, we can install the heavy duty floor, regardless of the weather and outside temperature. Unlike traditional concrete floors, the material reacts much less strongly to the ambient temperature, so that we can help you even in the winter. For this and a number of other reasons, the system is both KIWA and AggB certified, which guarantees the highest possible quality. 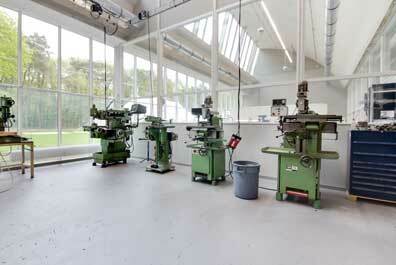 Would you like to have more information or a personal advice for your new commercial floor? Please contact us today. The placement of your heavy duty floor is in the hands of our experienced professionals. A team of Dutch specialists, with extensive experience in installing coatings for the machine, iron and metal industry. 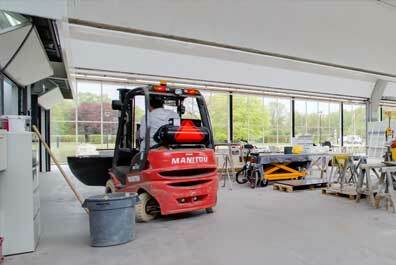 We are your specialist for heavy duty flooring in the Netherlands, Belgium, Germany and Luxembourg, and in Spain, England and Denmark. Internationally, we are the market leader in this and other industrial floor coatings, so you can expect the best quality. 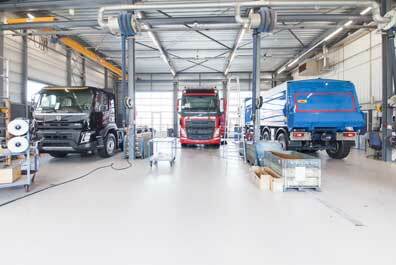 A floor coating for the machine, iron and metal industry? Contact us for more information. We are happy to provide you with clear and honest advice.